The Antichrist has two phases. For 3.5 years he is the “Man of Sin” “false Christ” speaking through a mouth “like a lion” (2Th. 2:3. Rev. 13:2), then he opposes the historic definitions of God speaking blasphemies (Rev. 13:5) pompously exalting himself above them all as the “Son of Perdition” (2Th. 2:3-4) “Seed of Satan” (Gen. 3:15) “Antichrist” denying the Father and the Son (1Jo. 2:18, 22). John saw the seven head ten-horn Grecian Roman Empire “Beast” rise from the sea in the end time “week of years” (Rev. 13:1-8). The entire Beast symbolizes both the “Kingdom” and the “King”, notice the personal pronoun “he” from Revelation 13:5 on. This also happens in the book of Daniel where the same ten-horn version of the Roman Empire appears in the end time (Dan. 7:17, 23). For the first 3.5 years the mouth of the beast is “like a lion”. 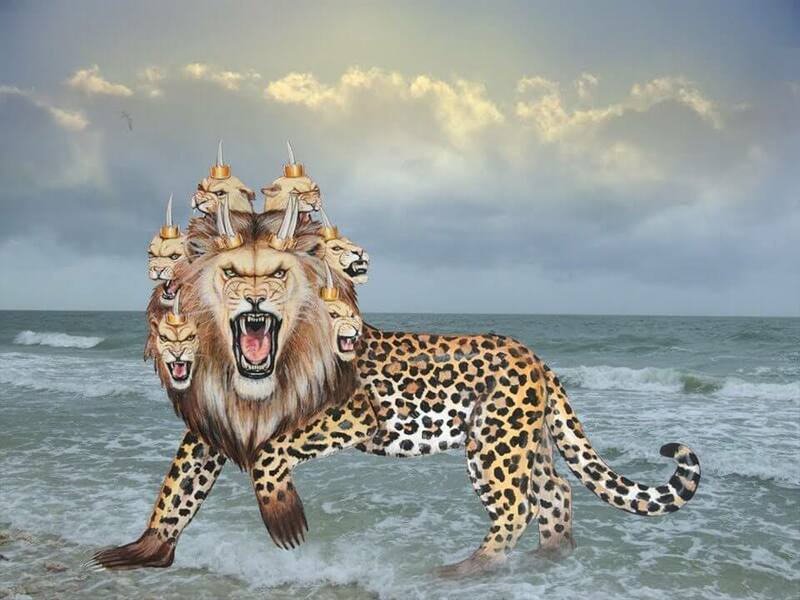 In Revelation 5:5 Jesus Christ is called the “lion of the tribe of Judah”. Therefore, as the “lion’s mouth” is on the Beast it is a “false Christ” that speaks through it. The “Man of Sin” is a miracle working Jewish Christian named Adonikam, who appears in the end time in the region of ancient Antioch. He will work miracles and do signs and wonders that seem to authenticate his claim to be “the Christ”. But they lie (2Th. 2:7-12). He is called the “man of sin” because he condones sin for the sake of ecumenical unity. The already fallen away Christian church loves his Gospel of health and wealth and hail him as “the Christ” (2 Th. 2:3-4). Sometime earlier God had stopped restraining the mystery of lawlessness, spiritism (2Th. 2:7-12) and there was a war in heaven. Satan and his angels were cast out and they appeared on earth (Rev. 12:7-12) claiming to be “the Elohim Creators” of life on earth. They lyingly pointed to the fossil record claiming it proved they designed life on planet earth. Now they had returned to ascend mankind to the next level, and gift it with immortality. The human race would become like the Elohim, and travel the universe also creating life on other planets as participants in the cycle of life. They demanded a NWO be created, and the seven head ten-horn Grecian Roman Empire was born. 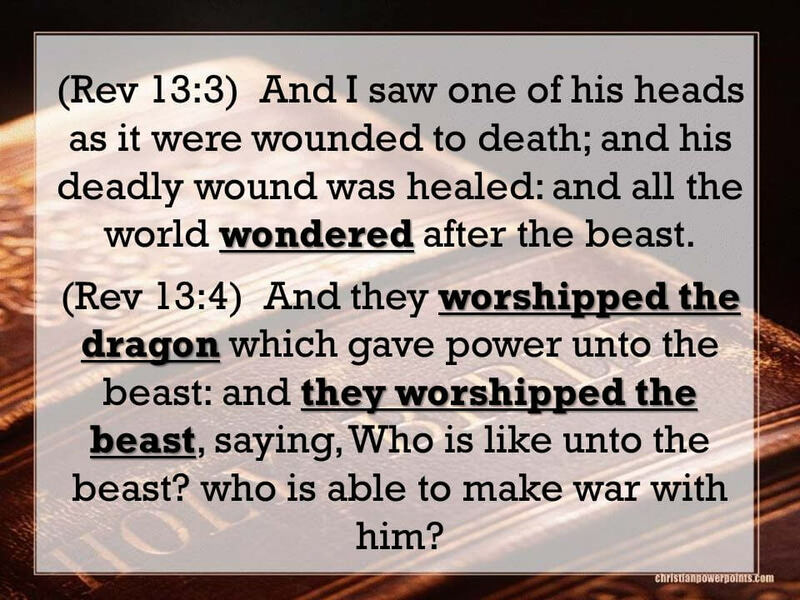 3 One of its heads seemed to have a mortal wound [buried beneath desert sand], but its mortal wound was healed [Babylon rebuilt], and the whole earth marveled [at its supernatural character] as they followed the beast [Chancellor Adonikam]. At mid-week the lion’s mouth stops talking, the Grecian Roman Empire is given a new Antichrist mouth that speaks “great things and blasphemies.” (Rev. 13:5. 1Jo. 2:18-22) He morphs into the “Son of Perdition” “opposing” all earthly definitions of God, and “exalting” himself above them all. His hybrid Elohim-human nature is claimed to be above the Extraterrestrial Elohim themselves. He proudly claims to be the “seed of Satan” (Gen. 3:15), claiming he is the source of the Elohim DNA in his genome (2Th. 2:3-4). For five months before mid-week evil spirits tormented and terrorized the TARES in Christendom to convert to scientific atheism, to be loyal to Adonikam when he proclaims himself the “seed of Satan” “Son of Perdition” (2Th. 2:3-4). But Satan so hates God, anyone alive remotely connected to Christianity, even the apostates that converted to the Beast and accepted his Mark, were slain by the demonic Kings of the East and their demon Calvary (Rev. 9:13-19). The third of the earth’s population that once claimed to be Christian was slain. Then the Beast Emperor Adonikam turns his attention to those all who refuse his mark. The Great Tribulation for the Church begins and most die a martyrs death (Rev. 13:5-7). Now you know the two phases of Antichrist. For more on the seven head ten-horn Grecian Roman Empire click here. For more on the 666 allusion to the name Adonikam Click here. The “Man of Sin” is a miracle working Jewish Christian named Adonikam, who appears in the end time in the region of ancient Antioch. That the “Lawless One” will be a miracle “lying” sign and wonder worker filled with the energy of Satan to deceive is explicit in 2 Thessalonians 2:7-9. I infer from Daniel 11:37-18 “God of his fathers” he is Jew. I infer from “son of perdition” (2 Th. 2:2-3. John 17:12) he is a Christian Jew like Judas. I infer from Micah 5:5 (Isa. 14:25-27) he is “the Assyrian” which connects him to Nimrod founder of “Old Babylon” where the Harlot was born. 666 is Biblical allusion to Adonikam’s name, the double entendre “number OF a man” is literally true, Adonikam generated 666 children (Ezra 2:13). This is not an exhaustive list, there are other texts consistent with these inferences, I at the moment can’t recall them precisely. I am not a prophet, none of this is prophecy in the classic sense. Its inference only and as such any part or all of it except what is required by sound exegesis, can be wrong. 17 And I will wait on the LORD, Who hides His face from the house of Jacob; And I will hope in Him. 18 Here am I and the children whom the LORD has given me! We are for signs and wonders in Israel From the LORD of hosts, Who dwells in Mount Zion. Again, this is not prophecy, its abductive logic, inference. Scripture depicts the Devil as intelligent and strategic. Recent events prove there is something to the reports of UFO’s. Persons of impeccable character and specifically trained to observe and report what they see (astronauts, military pilots etc) saw and experienced UFOs. Added to this is the massive delusion reshaping the public perception of reality to accept “ancient astronaut theory”. Therefore, as UFO spectacle and massive indoctrination exist, its clear something or someone is causing it to exist. It is certainly affecting the church causing many to fall away (2 Thess. 2:3-4). It would be strategic genius to convince mankind extraterrestrial (Designers) have created mankind, all life on planet earth. It would appropriate creationist intelligent design arguments, efficiently incorporating the facts of the fossil record and all known physics to destroy the mass delusion of evolution. There is only one being who would benefit from such events. Satan. Its ironic, only after YHWH God is removed as the Intelligent Designer, will “intelligent design” arguments convince mankind. Its reasonable to infer the UFO deception being preached today is part of the Satan’s strong delusion to convince mankind join the Great Revolt against all called God or worshiped (2 Th. 2:3-4). If we take scripture literally, when the Devil and his fallen angels are cast out of heaven it is truly WOE to the earth. It follows they appear physically on earth and in our skies (Rev. 12:7-12), perhaps as they did in the Days of Noah (Gen. 6:1-4). Although I have not surveyed all the UFO cults existing today, its seems very likely what Satan taught a former automobile journalist and race car driver Claude Vorilhon (now Rael) will be basic deception he uses in the end time. “Scientific Atheism” is abductively the likely gist of the strong delusion Satan will use to convince the earth to fight God at Armageddon (Rev. 16:13-14). “Flying frogs” are symbolic of UFOs, out of the mouths of the evil trinity, the “inspired” “BIG LIE” YHWH God can be defeated by men and fallen angel. Just as happened in Nimrod’s revolt at the Tower of Babel. Or before that, when men conspired with the Nephilim to seduce the angelic sons of God into apostasy. 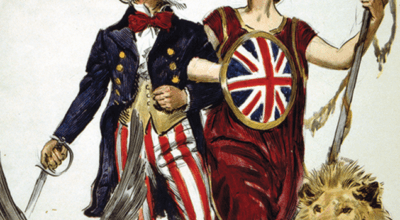 This Demonic-Human rebellion against God has happened before, it will happen again (Rev. 20:7-10). Again, I am NOT a prophet. The LORD has not spoken to me. I am inferring what will be, assembling pieces of the puzzle that is before us, to arrive at a picture consistent with Bible revelation. Its inference. Not prophecy. It certainly is a leap over vast chasms of the unknown. It seems elegant to me, parsimonous to the facts available. Only time will tell if I assembled the pieces correctly. If assembled correctly perspicuity of scripture and sola scriptura alone account for it. If not, the blame is mine alone. Scripture is always 100% correct. May the generation alive suffering the Great Tribulation keep looking up for Jesus their Redeemer, He is surely near. Maranatha! Amen and Amen, Come LORD Jesus!